Mobile messaging client apps are hot right now in India – While Whatsapp is leading the charts here in India, there are others who are climbing the charts fast as well. There is Indian born Hike, Chinese WeChat and Japanese Line messaging app. We also have Viber, Nimbuzz and others who offer messaging services with bouquet of other features as well. India is becoming a hotbed for all of them and all these apps are seeing their subscriber numbers growing quite briskly in India. 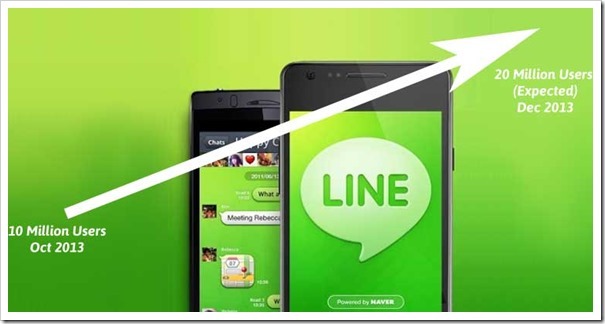 According to latest news report, Line Messaging app has now crossed 10 million registered users in India. Not only that, they are expecting to double that number by the end of the year. Line will aggressively market itself in India and now have roped in Katrina Kaif to endorse their brand. Akira Morikawa, CEO of Line Corp said, “We haven’t experienced such rapid growth in any other country to date. The focus this year is on increasing the number of users in India. We are confident of crossing the 20 million-mark before this year-end,”. Whatsapp, the leading messaging client in India and competing with Line app had announced that they had crossed 20 million user mark in India in August 2013. They also announced their push-to-talk voice messaging last month. Globally, Whatsapp has 300 million active users as compared to 230 million of Line App. Line is also planning to launch number of new features in coming days to make it more attractive for Indian mobile users. According to ToI report, they are working on introducing services like e-commerce and music through its platform! To push their growth Line has tied-up with Sony India and will come pre-installed on the Sony Xperia Z1 and Xperia C smartphones. 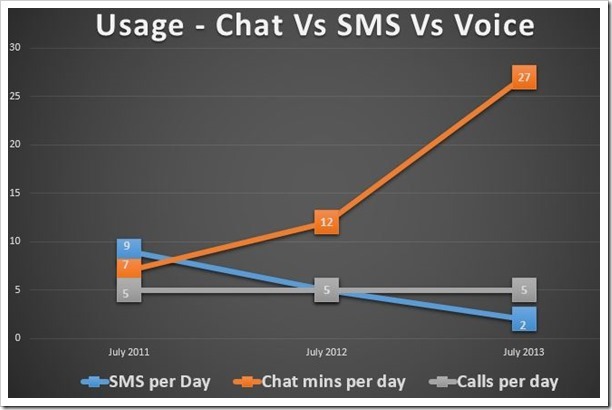 The popularity of these messaging apps has taken a heavy toll on SMS usage in India. Here is a stat that may surprise you – two years back, Indians used to send 9 SMS per day, but in the month of July 2013, that number came down to only 2 SMS per day! There is no doubt that people prefer messaging apps like Whatsapp and Line, rather than use SMS that is not only expensive but quite limited as well!